Feature Can You Retire in Your Retirement? Can You Retire in Your Retirement? That neighbor, like all the other people attending the wedding, had no idea about the stresses and pressures Refoel was experiencing. Payments due on the two mortgages on his house and on loans from the last wedding seemed like they would never end. Meanwhile, hefty credit card bills from purchases made in the weeks leading up to this wedding were flooding in, and a new loan that he promised to repay within three months was weighing heavily on him; that alone would require taking on yet another job — if he were lucky enough to get one. At 64 years old, Refoel was having his share of aches and pains and was looking forward to retirement more than he was to taking on more work. But facing major new bills and a depleted savings account, there was absolutely no possibility of cutting back on work in the foreseeable future. Sometimes he wondered if there ever would be. Refoel is not the only one who could not prepare adequately for the future. According to statistics compiled by the Federal Reserve, an astounding 47 percent of all Americans have absolutely no savings and would have to borrow money or sell possessions if they needed $400 to deal with an emergency. The Motley Fool, a service that provides financial advice for investors, reports that the average American has less than $4,000 in savings, while 57 percent of U.S. adults have less than $1,000 to their names. Results of a 2016 survey by GOBankingRates, a personal finance news and features website, found that only 15 percent of all adults in the U.S. have $10,000. Although many groups and regions in the U.S. are experiencing these financial hardships, they are especially intense in some parts of the frum community, where families often are larger than average and hefty tuition bills are an integral part of the family budget. Since couples tend to marry young, some have not yet completed their education nor had the opportunity to build significant savings. Even in the suburbs and in newly developing areas, the cost of housing in frum communities is high. And tuition is just one of the expenses of raising children. Since a couple’s parents sometimes help with these expenses, despite the fact that they may already have retired or are soon to be retired, they too may feel the pinch. And it’s not just very young people that are feeling these pressures. “The amount of money you need to get by even one month is astronomical,” says Benny, a special education teacher. “Each month we try to stretch our income and are barely getting by. There is just nothing left over to save.” Although older than Eli, he too has no savings. Forbes summed up the situation this way: There is a retirement crisis in America and 74 percent of Americans are not ready for retirement. It’s easy to understand how this happens. Young people usually complete their education before entering the workforce, and by the time they do are often burdened with significant student loans. But in our community, where people often marry young, even before they finish their education, this problem is exacerbated. And whether they do or not, by that point they are planning and working toward other priorities such as purchasing a home and sometimes a car, pushing all thoughts about retirement aside. Although young people are preoccupied with pursuing a variety of important objectives, early adulthood is the ideal time to start planning for retirement, since it allows investments more time to grow and for interest and dividends to be compounded. When invested carefully, a person’s money really can be put to work for him or her. Seymour Alter, a semi-retired resident of Rockland County, takes this one step further. “When I was planning for my retirement I thought I could manage on my own,” he told us. However, that proved to be a mistake when the severe financial crisis developed in 2008-2009 and the stock market suffered its worst losses since the Great Depression. In retrospect, he acknowledges that he “should have spoken with a financial planner.” And he would advise young people planning for their futures to do the same. As people get older they realize that retirement is no longer as far off as it once seemed. However, even at that point, they are still carrying a great deal of debt — in some cases more than they had years before — and their monthly expenses also may have increased. For example, they may have more than one mortgage now, and it is very likely that they are paying more toward their health insurance than they had been before. Retirement is one of the most important transitions in a person’s life, with the potential to impact virtually every aspect of one’s quality of life and have important ramifications for his or her family, too. That’s why people need to plan for it years in advance and update those plans from time to time. “The key goal in retirement planning is to maintain as closely as possible the lifestyle that someone had when they were working,” said Prof. DeCandia. This means taking into account many factors, such as income, debt, savings, anticipated retirement age and health, among many others. Therefore, two people planning for a comparable lifestyle in their retirement may have very different financial needs. People thinking about their retirement need to have some plans and make at least a tentative budget. Hamodia asked Yehuda Berg, Director of Financial Services at the Council of Jewish Organizations of Flatbush (COJO), if there is any way a couple can estimate how much money they’ll need in order to feel comfortable enough to retire. “They should calculate what their annual retirement income needs to be and divide it by 4 percent,” he told Hamodia. “For example, if they’ll need $50,000 a year to have their desired standard of living, they’ll need to save $1,250,000. This will give them 25 years of a $50,000 annual income” (not counting the interest they’ll earn on those funds). This number may need to be adjusted depending on factors such as anticipated age of retirement, the state of their health, family obligations, and adding or reducing debt. No matter how much assets, debt and obligations a person has, pension plans, 401(k)s and 403(b)s make life easier for retirees. In the late 1980s, 401(k) plans grew in popularity. 401(k) is a retirement savings plan that allows workers to deposit a portion of their salary into a tax-deferred account until the money is withdrawn at age 65 or older; employers often make matching contributions for a percentage of those deposits. According to Mr. Berg, there are still some companies that contribute as much as 50 cents for each dollar employees save — giving those employees an immediate 50 percent return on their investments. Another popular retirement plan is a 403(b), which is geared to employees of tax-exempt organizations. 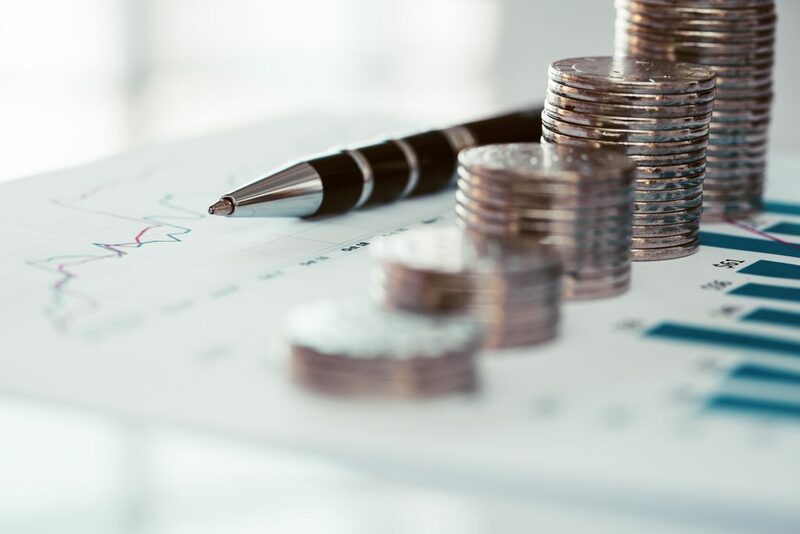 As of 2019, the government raised the limit employees can contribute to their retirement accounts by an additional $500, bringing the total to $19,000. And most people can collect Social Security. Retirees who believe that Social Security will fund all of their retirement needs are mistaken, but it is a good starting point. Anticipated payments will help people plan more accurately for their retirement and ease their financial pressures, particularly if both spouses will be recipients. According to the investment website Investopedia, it’s never too early to put a retirement plan together, and it’s never too late to start. Individuals should put aside at least 15 percent of pre-tax income a year in the opinion of investment management firm Fidelity. However, what is logical in theory is not always possible in real life. The median amount of savings 20-somethings have is just $16,000, according to a 2015 survey by Transamerica Center for Retirement Studies. This low number is understandable, since this group is usually earning entry-level salaries or only slightly more, and very likely also has car loans, credit card bills and other debt to contend with. Surprisingly, as people get older many continue to fall behind the amount of savings they’ll need, even though their incomes have likely gotten higher over the years. That’s because their expenses and those of their families have increased even more. Transamerica reports the estimated median savings for people in their 60s is $172,000, much less than the recommended eight to 10 times the individual’s annual salary. This is even more worrisome because at this point in their careers saving enough to make up for shortfalls is much more difficult. Here’s another surprising statistic: An estimated 79 percent of Americans work for employers that provide a retirement plan, yet research from the U.S. Census Bureau suggests that only 41 percent of those employees contribute to those plans. According to Prof. DeCandia, even employees making very high salaries sometimes say they can’t afford to save for their retirement and turn down matching 401(k) contributions that their employers make. Individuals should save in some sort of tax-deferred plan, he adds. Of course, as one moves closer to retirement, he or she also needs to budget for other financial considerations, such as health and life insurance. It’s also advisable to speak with an expert about a will, estate planning and related issues. People on very tight budgets may feel they’ve already cut all excesses and wasteful habits and there is nothing further they can do to save money — certainly not $1,000 a year. Perhaps more careful consideration may change their minds. There are some well-known money-saving measures that are easy to adopt. For example, adjusting the thermostat, turning out lights that are not being used, and making washes with a full load. Another way to save money is to avoid late fees on mortgages, which don’t break the bank but nevertheless sting. Yet another is to avoid tickets. Parking tickets in New York City can be up to several hundred dollars and in some cases also add points to the driver’s license, which can raise insurance premiums — another money drain. According to Yehuda Berg, there are the obvious ways to save money, such as avoiding buying takeout food and eating out in expensive restaurants. This is not, of course, to say a person can never go to a restaurant, but do not make it a way of life. There’s a good chance you’ll be able to save a substantial amount of money on your food bills — even if you’re already being careful — because as much as 40 percent of the food purchased in the U.S. goes uneaten. Even if one believes the estimate of $2,200 wasted on food is exaggerated, a much more conservative estimate of $1,000 is probably attainable simply by shopping more carefully and with better meal planning, without making any significant changes in lifestyle. Saving an extra $1,000 a year will not make a great difference to wealthy people. However, for those living on a very tight budget and who have little or no savings it is very important and worth scrimping for. In fact, when used carefully, $1,000 may be worth a great deal more money than its face value. Here are some examples how. Homeowners who start making these payments later in the life of the loan won’t realize as many benefits but they can still save a significant amount of money. *A $1,000 annual savings can also be used to pay off or pay down credit card debt. These savings may mean having more cash to make purchases without resorting to the use of a credit card at all, and even if you do need a credit card you will need to borrow less on it. High interest payments that you would have had to make can go into your retirement account instead. *Save or invest that $1,000 carefully. The younger you are when you start to save, and the more you save, the larger your nest egg will grow. Even at today’s relatively low-interest rates, saving a modest amount of money each year can be surprisingly rewarding. The Motley Fool reports that, “Boosting your savings by just $1,000 a year could add hundreds of thousands of dollars to your retirement accounts” because you are saving not only principal but also the interest that accrues on interest. Occasionally, money comes in from an unexpected source and that also could go a long way toward helping you reach your goal of saving $1,000 a year. For example, a wealthy relative may send a generous birthday gift, you may get a larger than expected tax refund or your employer may give you a bonus for a job especially well done. These days everyone is at risk of being ripped off and scam artists are not only expert at what they do but have no mercy on their intended victims. Seniors are particularly vulnerable because they may be perceived as being physically fragile and/or because they give the impression of being well-off. Financial fraud has been called the fastest-growing form of elder abuse and, while painful for anyone, it can be devastating when the victim is an older person. “The best advice I could give young people about retirement is to save for the future,” Seymour Alter said. While this advice is logical, it’s not always possible, as Mrs. C. learned from firsthand experience. “I never imagined that I’d reach age 64 with no retirement plan in place,” she told us. Some years ago she and her husband decided to cash in an IRA in order to move to a better neighborhood, but paid a large fee for withdrawing from it ahead of time. Here’s how she describes what happened to another IRA she had. “That one came with a job my husband had from 1998-2002,” she recalls. “After he was laid off, we should have contributed $50 a month to that — but we didn’t because money was too tight. On the other hand, I was finding ways to pay the electric bill and other small utilities; I could have done this as well. At age 62 Mrs. C. was hired by a company that promised a pension after 10 years’ service, which meant working full-time until age 72, not the most attractive prospect. However, that job did not last. Mrs. C. is giving a lot of thought to her options at this point. “My only recourse is to wait until I am 66 to collect Social Security, although I am also considering waiting to 70.” She is also considering moving to a place like the Shomron in Israel , where she says the cost of living is much cheaper than in New York. She hopes income from a combination of freelance work and some relatively low-maintenance online business will help. Seniors should “delay collecting Social Security as long as they are able to,” suggests Yehuda Berg. “If you work until age 70, your monthly check will be significantly higher” than it would be if you start collecting at age 65 or younger. There have been dramatic changes in the U.S. after World War II and one of these was the population explosion. The so-called baby boomers — usually defined as children born in 1945-64 — fueled growth in many sectors of the economy for many decades; now they are leading the march toward retirement. Having retired, many boomers are now leading a new trend: returning to the workforce. Undoubtedly, some found that retirement was not as much fun as they thought it would be, others miss working or want more social contacts. But some are “un”-retiring for a very different reason. Surveys confirm that the number one worry among older Americans is running out of cash, says financial columnist Jane Bryant Quinn. In some cases these back-to-work retirees want more financial security and in other cases they need that money. This possibility makes preparing, i.e., saving, for the future all the more important. According to COJO’s Yehuda Berg, young people need to plan very carefully for their retirement. “Not having any plan or saying, ‘I have 30 years to worry about it’ is not an answer. Set specific measurable financial objectives and implement a plan to achieve them,” even though there may be challenges along the way. Retirees looking for work bring important assets to their search but that doesn’t mean finding a full or part time job will be easy. For one, there are younger competitors who are eager to get hired. Some of the jobs available may require working full time, which in some cases is too demanding physically or conflicts with the retirees’ schedules or plans. Some jobs may require being computer savvy, a skill not all seniors possess. And while part time jobs may be ideal, the cost of transportation may change the economics to an extent that the job is no longer worthwhile. There are federal, state and local laws in New York City that make age-discrimination by employers illegal; nevertheless, in real life it sometimes is a problem. When Miriam retired she found a two-day-a-week job editing reports at a consulting firm. The salary was less than what she hoped it would be but since it was work she enjoyed and similar to what she had been doing when employed full time she was very upbeat when she started there. Unfortunately, her work load was much more than what she was led to believe it would be, and often it was marked “urgent” so she was under a great deal of deadline pressure. And that was not all. Her salary was often delayed, which interfered with her budget plans. Several weeks later, Miriam complained about these conditions to her boss, expecting him to be surprised and apologetic. Unfortunately, he had a very different take on the situation. He didn’t care if she was being treated unfairly because “At your age I don’t think you could get hired anywhere else,” he told her bluntly. While not typical, the problem of ageism does exist. But that doesn’t mean there aren’t a whole other range of opportunities out there, some ideally suited for retirees. Here are some ideas. A place to contact is your last employer. Since you have a proven work record there, the company may be happy to give you your old job back, although in a reduced capacity; if not, one of their competitors may want to put your talents to work. Depending on your education and skills you may be able to work as a substitute teacher or tutor, which Seymour Alter does several days a week. This work will add income and may prove to be very gratifying. You could put special skills to work; for example, if you are good at needlework you could do alterations or make hand-made scarves or Afghans. Those very fluent in a second language could do translations. One Russian immigrant translates for very wealthy Russians who come to the States for medical treatment or for business purposes. Fluency in Spanish is an important asset these days. You also may be able to find part time or temp work through organizations such as AARP — the association for retired people — which offers advice about jobs available, has a job board, and screens companies for ageism. And don’t forget to get the word out about your plans to friends and contacts you’ve made over the years, as many will be happy to keep your name in mind. We may be living in an era of automation but word of mouth still goes far.